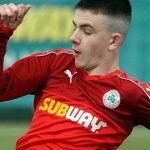 Barry Gray bemoaned Cliftonville’s game management in the aftermath of last night’s County Antrim Shield defeat to Crusaders. 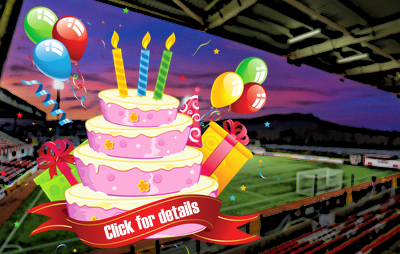 Two Joe Gormley goals had turned the tie around after David Cushley’s penalty gave the Crues an early lead in the Quarter Final match-up, but Paul Heatley’s brace in the final five minutes saw the visitors progress – and Gray was less than impressed with his team’s approach to the North Belfast Derby affair. “We said to the players afterwards that the game management side of it was pathetic,” he revealed. “We went behind to a soft penalty, got ourselves level and not playing particularly well in doing it. We got ourselves ahead in the game and what disappoints me – particularly for the second-half – is the long ball game. I don’t know where it comes from, it beggars belief for me, it seems to come out when players decide it is appropriate. Our reliance on the long ball was pathetically poor and it played right into their street. 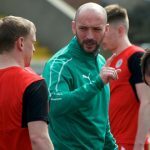 While the contest came little more than 48 hours after Cliftonville’s Premiership victory over Dungannon Swifts, Gray did not use that to absolve his frustration. “It would be easy to come out and make excuses that we had a game two days ago,” he added. “We didn’t look jaded, we didn’t look flat and we didn’t look like we were massively taxed. Our decision making on the ball when we had possession was extremely poor. “We took Rory [Donnelly] off because he was carrying an injury. We were pushing him to play, he did his job and Joe [Gormley] did his job and they got us ahead of the game between the two of them. If you can’t manage a game out for 10 minutes at 2-1 on top then things are going to be difficult for us, that’s a scenario we need to get back down and work with again.